In 2016, intentional self-harm was the fifth leading cause of death amongst First Nations people in this country, according to Australian Bureau of Statistics figures. Over that 12 month period, 162 Indigenous people took their own lives. The suicide rate amongst Aboriginal and Torres Strait Islander people stood at 23.8 deaths per 100,000 people that year, compared with 11.4 deaths per 100,000 non-Indigenous persons. First Nations children and youth are particularly vulnerable to this crisis, which is only getting worse. Aboriginal and Torres Strait Islander youth account for 30 percent of the suicide deaths amongst people under the age of 18, and yet, they constitute less than 3 percent of the overall population. Indeed, Indigenous youths between the ages of 15 and 24 are five times more likely to take their own lives, than their non-Indigenous peers. After the devastating suicide of a 10-year-old girl in the Western Kimberley remote Aboriginal community of Looma in March 2016, there were renewed calls for a royal commission into Indigenous suicide. 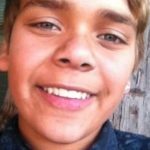 This child’s death was the nineteenth First Nations suicide in Western Australia since December 2015. However, the royal commission remains yet to be appointed. One in four Indigenous suicides in Australia happens in WA. And incidents of suicide and self-harm are higher in regional areas and remote communities. A 2016 report published in the Medical Journal of Australia revealed that of 125 people who took their own lives in the Kimberley region between 2005 and 2014, 102 of those people were Indigenous. This equates to 74 suicides per 100,000 Aboriginal people in that region. Seventy two percent of these individuals were male, and 69 percent of them were under the age of 30. Over the year 2014, a total of 476 First Nations people presented with suicidal behaviour at the Kimberley Mental Health and Drug Service. 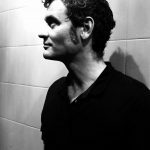 “Collective trauma and ongoing socioeconomic deprivation are drivers of escalating self-harm and suicide rates among Indigenous Australians,” researchers concluded. The Aboriginal and Torres Strait Islander Suicide Prevention Evaluation Project was established in July 2014. The project tabled its Solutions That Work: What the Evidence and Our People Tell Us report in June 2016. As part of its research, the project carried out twelve roundtables nationally. While in 2016, the inaugural National Aboriginal and Torres Strait Islander Conference was held in Alice Springs. The second such conference is set to take place in November this year. Professor Patricia Dudgeon is the program director at the Centre of Best Practice in Aboriginal and Torres Strait Islander Suicide Prevention. 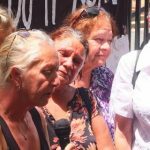 Sydney Criminal Lawyers® spoke to Professor Dudgeon, a Bardi woman from the Kimberley, about the ongoing crisis, and the solutions identified as beneficial. Firstly, Professor Dudgeon, suicide is one of the highest causes of deaths amongst Indigenous people in Australia. More than 100 First Nations people take their own lives each year. And the figures are getting worse. However, before the 1960s, suicide amongst Aboriginal and Torres Strait Islander communities was almost unheard of. In your understanding, why has the suicide rate grown so dramatically within the Indigenous community over the last half century? Previously, people were locked down and just trying to survive. What we’re seeing now is a delayed reaction to the terrible things that happened in the past. We’re living in a society that makes out that people are free and equal. But, it’s not reality. We know from social determinant reports that Indigenous people do badly on all health and social indicators. In some regards, there is a renaissance happening, and a great reclaiming of Indigenous culture. And there’s government acknowledgement and recognition of some of the terrible things that have happened in the past. The national apology is an example of that. But still, there’s a great deal of disempowerment and misery in a lot of the communities, whether it is in remote or in urban situations. Indigenous children and youths are particularly vulnerable to suicide. How can we account for such a high rate of suicide amongst people who are so young? What’s happening is that Indigenous youth are seeing the world around them. And it’s a world that doesn’t include them. While we’ve still got issues in our own communities that we have to deal with. We rely on the work of professor Michael J Chandler, who conducted research with Canadian First Nations people. And when the very high suicide statistics were analysed there, some communities had no suicides, while others were right off the Richter Scale. Like a lot of our Indigenous counterparts, there’s a high level of suicide overall, and it’s pronounced in youth. It’s our youth that are particularly vulnerable. So, they went into communities that had no suicides, or very little, and came up with what they called cultural continuity markers. And basically, translated into the Australian situation, they come down to self-determination, and community reclamation. Those things are very important. If we can start that process of giving people a choice over their futures and lives, and we value their culture, things will change. That’s the big ask for us. It’s those things that need to happen for our communities. Certainly, within some of the research I’ve done in suicide prevention, the importance of culture emerges as a big issue for most communities. And also, self-determination and proper inclusion of Aboriginal and Torres Strait Islander people in anything that impacts them is important. Suicide clusters, or spates of suicides, occur within Indigenous communities at times. How do you explain these tragedies? If someone you know takes their life, then that possibility is open for you, when you’re in a situation that you can’t bear. But, at the same time, when there is a suicide, these clusters don’t always occur. In May 2013, the National Aboriginal and Torres Strait Islander Suicide Prevention Strategy was established. 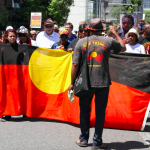 This was the first Indigenous specific suicide strategy in Australia. How important was it to establish a strategy that addressed the needs of First Nations communities? And what did it involve? Mental health and suicide prevention is a big issue for us as a country, regardless of cultural background. So, I’m really pleased to see our consciousness about mental health and suicide prevention is increasing as a society. We’re seeing quite a big shift in the way that we deal with mental health issues, and suicide prevention. Concurrently with that, we also need to focus on Indigenous mental health and suicide prevention, because it is different. We have two cultural groups. And also, the history of colonisation needs to be addressed. The suicide prevention strategy takes account of that, as well as, the earlier issue that I spoke about: the need for self-determination. Another thing that I am seeing happen is the consumer movement, which is absolutely fantastic. Consumers of mental health services are now insisting on being present, having a voice at the table, and deciding what needs to happen for them. With any group that’s been marginalised and disempowered, we need to really include them in an empowered way in any decision-making matters that will impact upon them. 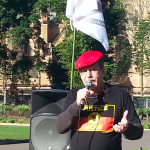 Particularly for Aboriginal and Torres Strait Islander people, given that long history of oppression and exclusion. And for Indigenous people themselves, that’s part of the healing, as well as accepting that racism is a part of our society, and starting to address it. We’re seeing the results of a maturing society. Following on from that, the Aboriginal and Torres Strait Islander Suicide Prevention Evaluation Project was set up. It was tasked with investigating suicide prevention services and programs that are available for Indigenous people. And to make recommendations about improving them. So, what sort of programs were out there? And how adequate did you find them? We did a review of what we determined as successful Aboriginal and Torres Strait Islander suicide prevention programs, and most had common elements. These were programs that were based in local communities that had culture as a component. There was a whole list of different criteria. They included being based in local communities, involving local people, and having cultural aspects. The project tabled its report in November 2016. It was titled Solutions that Work. Can you briefly outline what sort of solutions you found actually do work? We made seventeen recommendations. And we built upon the National Aboriginal and Torres Strait Islander Suicide Prevention Strategy. Particularly, its six broad action areas. The first was building strength and capacity in communities in order to properly address suicide prevention. The community needs to be a part of that, not only in leading, but employed in doing it. The second was building strength and resilience in individuals and families. Because suicide is often the tip of the iceberg. There’s a whole lot of other things that are contributing to it. So, if we build people up, and facilitate their empowerment and resilience, then that will mitigate against suicide. The strategy also said there needs to be targeted prevention services for Indigenous people, such as coordinated approaches that build the evidence base, and get information out to communities. And there needs to be standards and quality in suicide prevention. Some of our outcomes found that programs that use peer-to-peer mentoring or education and leadership on suicide prevention were beneficial. Having good counselling and safe places for people to discuss their concerns is also beneficial. There should be community site-specific programs using community organisations. And there should be different sorts of support material available, such as DVDs, as a lot of people don’t read, so we need to have messaging getting out in other ways. Success factors included programs that connect young people through sport and other activities. And also, connect them to country, culture and community life, as well as to elders. But, most importantly, this must work through a cultural framework. With the roundtables that were held across the country, the big things that emerged were the need for self-determination and local leadership. And we need to consider the social determinants of health, the impact of trauma, incarceration and justice issues, as well as supporting culture and identity. You’ve stressed the importance of these strategies being community-led and culturally appropriate. Is there a need for government to take a step back when suicide prevention programs like these are being established? We already see that happening. What we are starting to see is the regionalisation of resources with the advent of the Primary Health Networks. There’s a push to see more regional developments happening. And in that, there’s space now for Indigenous communities to come up with their suicide prevention programs, and to submit for funding for those. So, we’re starting to see the beginning of that. A lot of work will need to be done to continue to change the paradigm, because if a community wants more back to country camps, if they see that necessary to their community well-being, that needs to be considered and funded. We should be looking at and seeking innovative ways forward. Certainly, at our centre for best practice, our job will be looking at evaluated programs, and creating a clearing house. And also, hosting the second national conference, so communities can come together and learn off each other, as well as come up with their own ideas. Part of self-determination is to encourage information sharing, and to enable communities to think through what will make a difference for them. 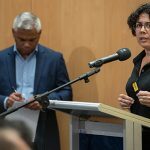 Following the release of the report, the Centre of Best Practice in Aboriginal and Torres Strait Islander Suicide Prevention was established to continue on the work of the project. What are the main focuses of the centre at present? Our main job will be identifying relevant and existing Australian and international research and evaluations. In the same year, we had the national suicide prevention conference, there was the first World Indigenous Suicide Prevention Conference. As I said, there’s a lot of other Indigenous groups that are in very similar situations. And there’s an opportunity to learn off each other, and come together, share, and grow our body of knowledge. So, our job will be identifying and assessing evaluations for best practice, but also, research that is relevant to Indigenous suicide prevention, particularly through an Indigenous lens. And lastly, over recent years, the Indigenous suicide strategy was established, along with the prevention project, and there’s a new focus on the Indigenous suicide crisis. But, is the situation improving? The stats have not changed. And I don’t think it’s getting any better. But, it’s unrealistic to expect a magic wand. That’s not going to happen, and it’s taken a long time, decades, to get to where we are. It’s going to take a long time, and lots of other things happening to change it. There’s been communities, who’ve had high suicide rates that have dropped. We’re engaged in research with them, and we’re going to try and identify what actually happened to cause that turn around. But, overall, it won’t be an overnight solution. As I said earlier, there’s the issue of social determinants. If you’ve got an issue with unemployment rates, low education, high levels of racism and poor levels of health, they all contribute to the big picture as well. While there will be better programs, and I expect better programs to come from the reforms that are happening, it will take a while to turn things around. Professor Dudgeon, thanks very much for taking the time out to have this chat with us today.